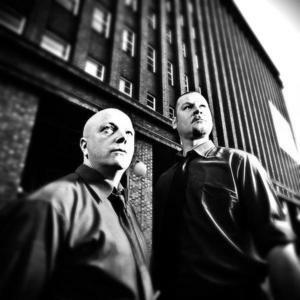 VNV Nation is an electronic music group formed in London in 1990, now based in Hamburg, Germany, that combines elements of trance, synthpop and electronic body music (ebm) into what they call futurepop. VNV Nation began as a one man project from Ronan Harris. In 1995 Mark Jackson joined the band permanently as a live drummer. VNV Nation's inspiration was originally the clash of the modern and classical European cultures, where mythology and technology live in an uneasy fusion, but this has since broadened to encompass a world view.